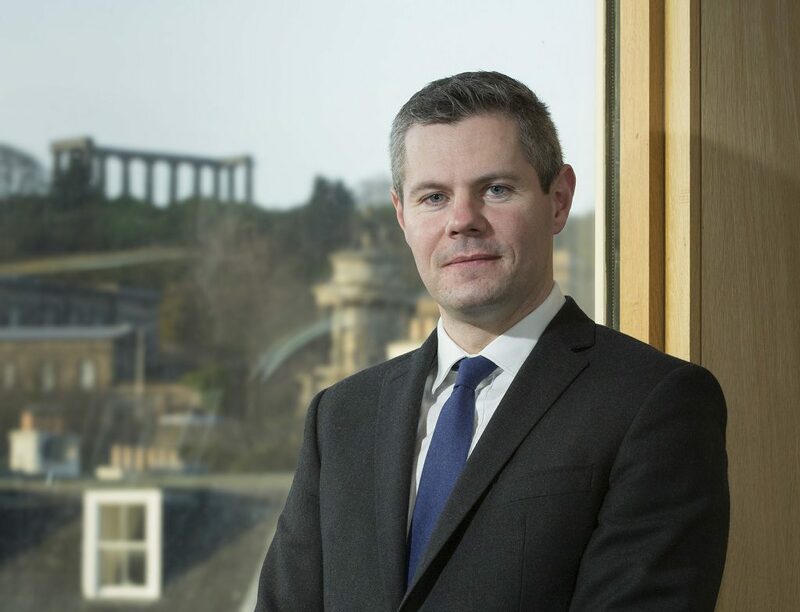 Renfrewshire North & West MSP Derek Mackay has celebrated 10 years since the SNP scrapped tuition fees on Scottish students. This week marked 10 years since the Graduate Endowment Abolition Bill was passed by the Scottish Parliament – removing the backdoor tuition fees introduced by Labour and the Lib Dems. This policy ensured that students in Scotland would not have to pay for tuition either during or after their studies. By stark contrast, Tory policy south of the border sees students charged up to £9,250 a year for attending university. The Welsh Labour government also charges students to study in Wales. Since the fees were scrapped, 270,000 Scottish students have graduated free of charge. One of them is new Renfrewshire Councillor Natalie Don, who said she would have been unable to go to return to University as a mature student if fees of nearly £10k a year was applied in Scotland. “The scrapping of Labour’s unfair graduate tax has been transformational for many people across Renfrewshire – and stands in stark contrast to the Tory approach in England and Labour approach in Wales, which forces people to pay thousands of pounds to get their degree. “And just this week, we announced yet another significant investment in our universities and colleges, which will benefit from £1.8 billion in funding for the coming year, money which will help us achieve our aim of ensuring students from the 20% most deprived backgrounds represent 20% of university entrants by 2020. “It is very simple; I would not have been able to go to uni if fees such as £9k a year were charged in Scotland.